What’s the Price for the 2019 Kia Niro FWD? How Many MPG Does the 2019 Kia Niro FWD Get? What’s New for the 2019 Kia Niro FWD? The 2019 KIA Niro FWD has arrived at Carriage Kia of Woodstock and is packed with accessories and features that our sales team can’t stop raving about. This vehicle is part of the first generation of Niro vehicles and boasts a superior fuel economy rating. Of the hybrids currently available on the market today, the 2019 KIA Niro FWD is one of the most affordable options. Looking to get more out of your ride? The 2019 KIA Niro FWD features a wide selection of features at both the standard and higher luxury package levels. For example, chose the EX edition and enjoy more advanced features such as push-to-start ignition options, heated seating, blind spot monitoring, and cross-traffic detection. Superior safety options and the high fuel economy rating make the 2019 Kia Niro FWD an excellent choice for your daily commute or for use on your next family road trip. Equipped with Apple CarPlay and Android Auto, you will be able to blast all of your favorite music with the 2019 KIA Niro. The impressive interior features of the 2019 KIA Niro FWD aren’t the only traits to get excited about. This hybrid also excels in performance and offers different driving modes such as the sport mode. The 2019 KIA Niro FWD offers superior drivability, steering, and handling. Ready to take the 2019 KIA Niro FWD for a drive yourself? Get behind the wheel of the 2019 KIA Niro FWD by visiting us in-person or calling to schedule a test drive. Our team of experienced sales staff and automotive experts make customer satisfaction our top priority. 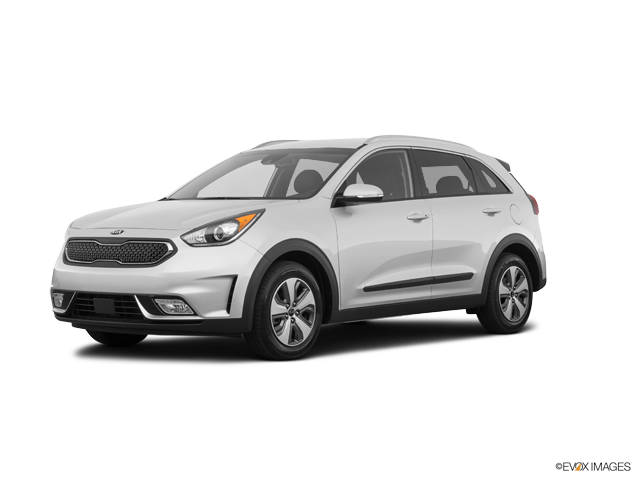 Meet the 2019 KIA Niro FWD or explore our wide selection of new and used vehicles at Carriage Kia of Woodstock today. * “Starting MSRP” is manufacturer’s suggested retail price (MSRP) for base model trim. Niro Touring shown with optional features – priced higher at $32,250 MSRP. MSRP excludes destination and handling charges, taxes, title, license, options and dealer charges. Actual prices set by dealer and may vary.